At Microsoft Ignite SQL Server 2019 was launched. An amazing product for the future combining SQL Server 2019 with big data and analytics. It is great to see the combining of multiple tools in once place, a one stop shop for large and small data, structured and unstructured and from multiple sources. There are 3 major components to SQL Server 2019. The creation of a data virtualization layer that handles complexity of all data sources and format. Enabling the integration of structured and unstructured data without moving the data. The creation of a complete AI platform that can use Spark to analyse both structured and unstructured data anywhere, use SQL Server machine learning services and SparkML. 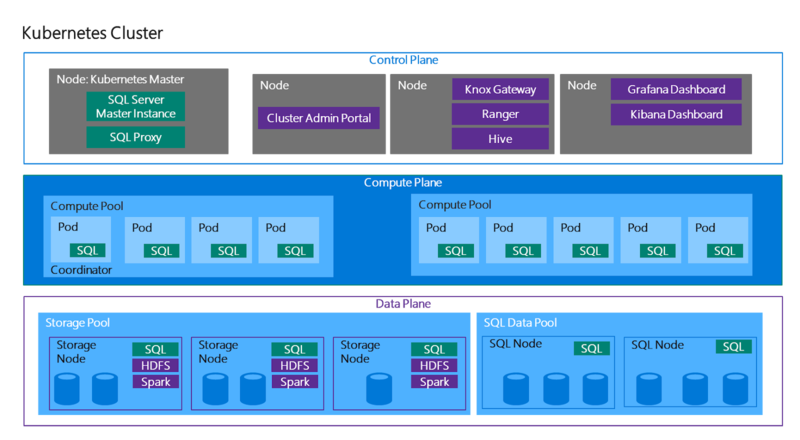 In summary SQL Server big data clusters allow you to deploy scalable clusters of SQL Server, Spark, and HDFS Docker containers running on Kubernetes. What is SQL Server 2019 Big Data Clusters?